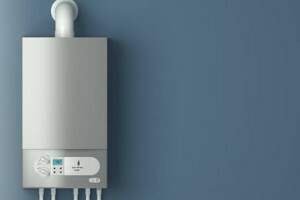 Tankless water heaters are gaining popularity. Home and commercial property owners are beginning to look for ways to conserve water, and tankless water heaters are a great way to do this, especially for larger properties. If you are interested in a new system or need a repair or maintenance service, we are ready to get to work. Our DEFINITIVE PLUMBERS are backed by more than 25 years in the industry. As part of our long careers, we constantly remain up to date on the latest innovations in the field. 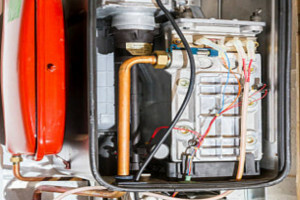 With this said, tankless water heaters are one of our specialties, and whether you need a service done on a commercial or residential system, we have the expertise and manpower required. 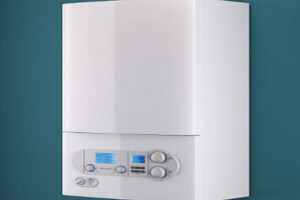 The main difference between conventional water heaters and tankless water heaters is that these systems do not have to store water – instead, they immediately heat the water being used in a number of different locations. Depending on the size of your property and the number of people it has to accommodate, tankless water heaters could be outstanding upgrades. Just like anything, tankless water heaters have cons, too. They have been known to have difficulty in achieving colder temperatures when desired and may not function during a power outage. However, it is best to work with a certified professional who can give you an honest assessment based on your needs and desires. At Definitive, we have ample experience installing tankless water heater systems and are the nation’s #1 providers of Rinnai & Navien TANKLESS WATER HEATERS . 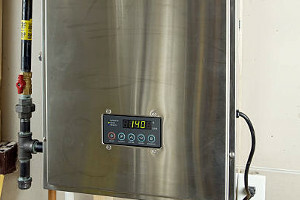 This means that our customers get the best tankless water heaters known in the industry. Of course, if you just need a quick repair or are interested in A TANKLESS WATER HEATER INSTALLATION our Definitive tankless water heater specialists are the professionals you can trust.